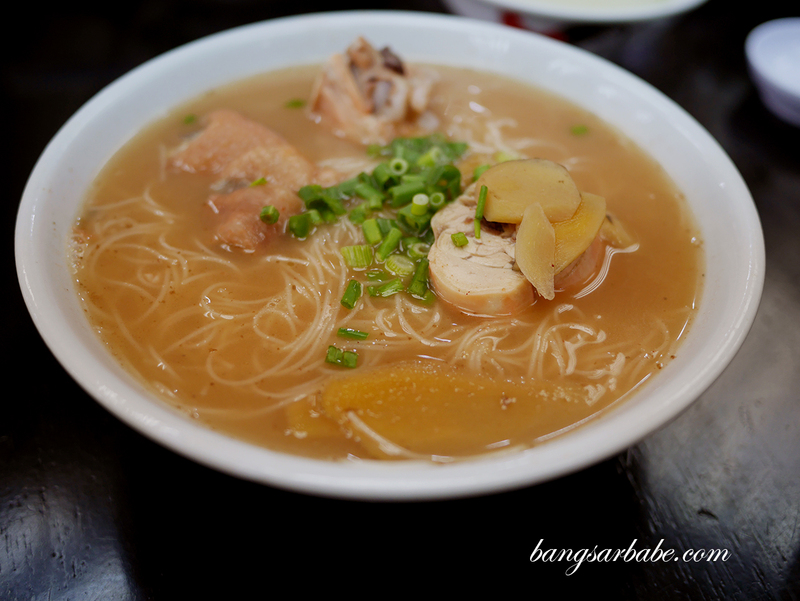 I’ve been craving red rice wine chicken soup of late; the one that is typically available in many Hock Chew households. When rif told me he spotted Foochow red wine mee suah chicken soup at SRK Noodle House in Section 14, I went there immediately that weekend. A good red rice wine soup must be aromatic from the rice wine and robustly flavoured from the addition of old ginger. 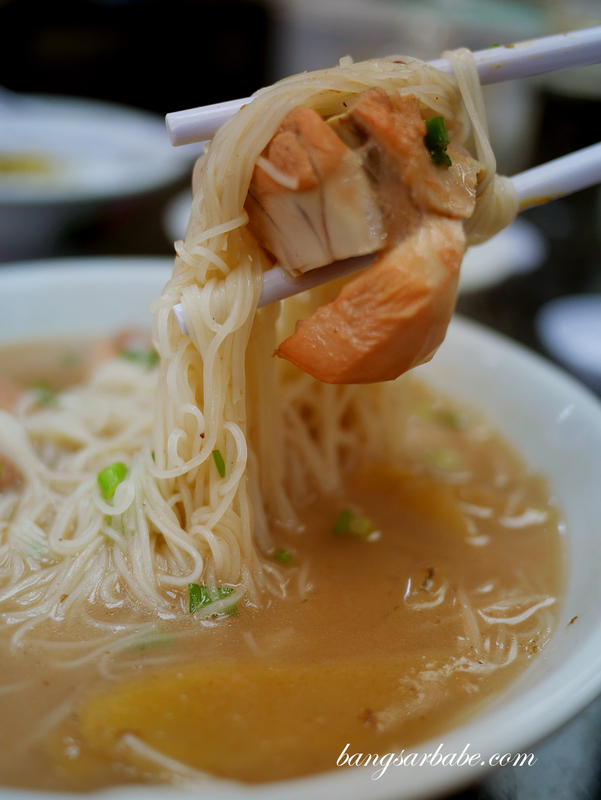 The mee suah should be firm enough to retain a good bite yet delicate to allow it to glide into one’s mouth easily. 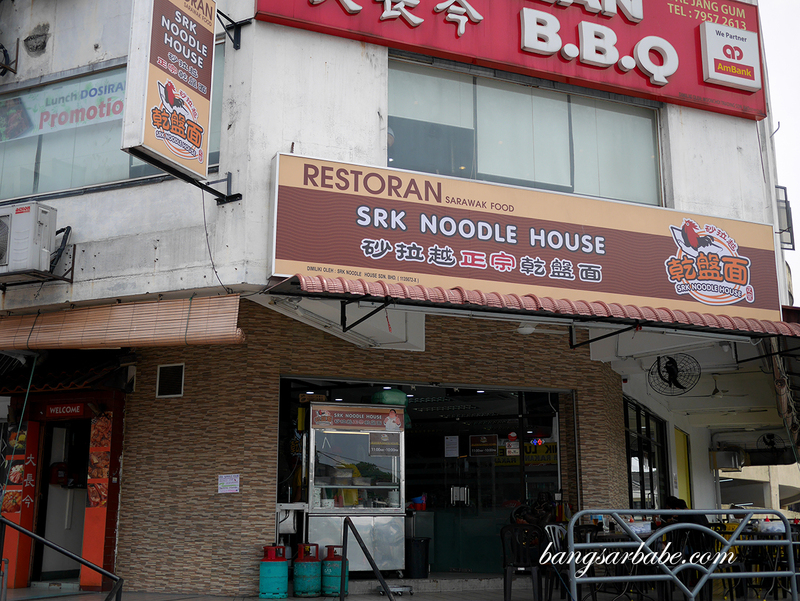 Alas, the version from SRK Noodle House (RM12.50) failed to impress – it was salty and rather one-dimensional in taste. It could be the way they eat it in Sarawak, but I’ve been accustomed to a stronger, bolder version in Sitiawan. Plus, my late mother made really good red rice wine which adds to the soup’s flavour. It’s really a skill and the flavour of the rice wine depends a lot on “touch”. The commercially available ones aren’t as good and often, flat in taste. 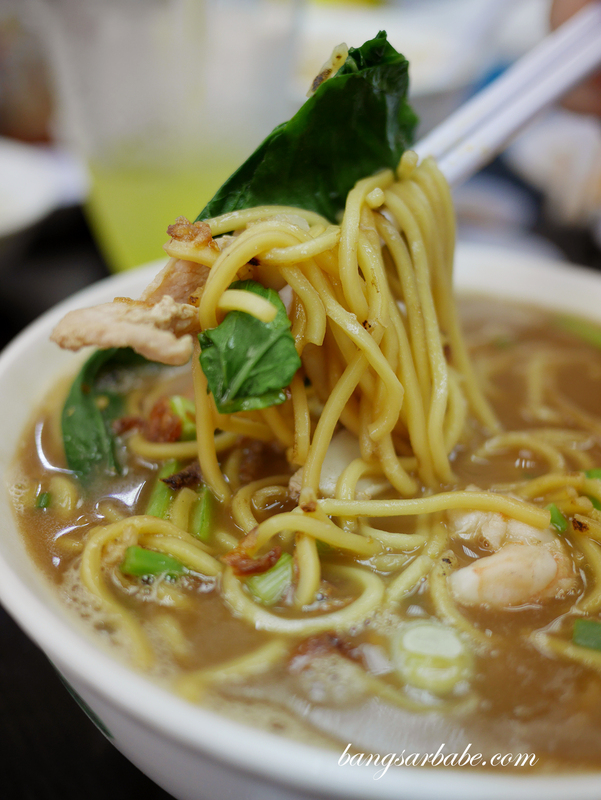 If you’re still keen on trying this, note that the mee suah is only available during weekends. 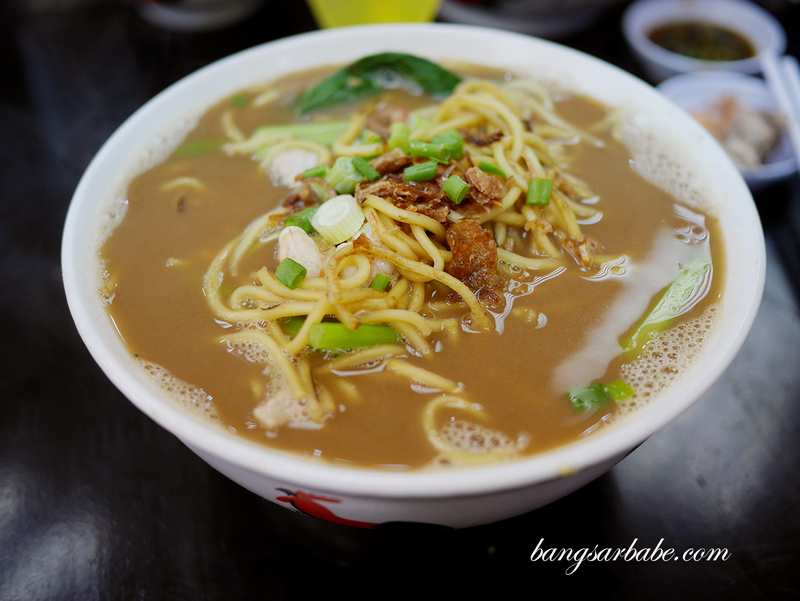 I liked the kampua noodles (RM8.25 – regular, RM9.35 – large), which comes with an option of mee or mee pok. 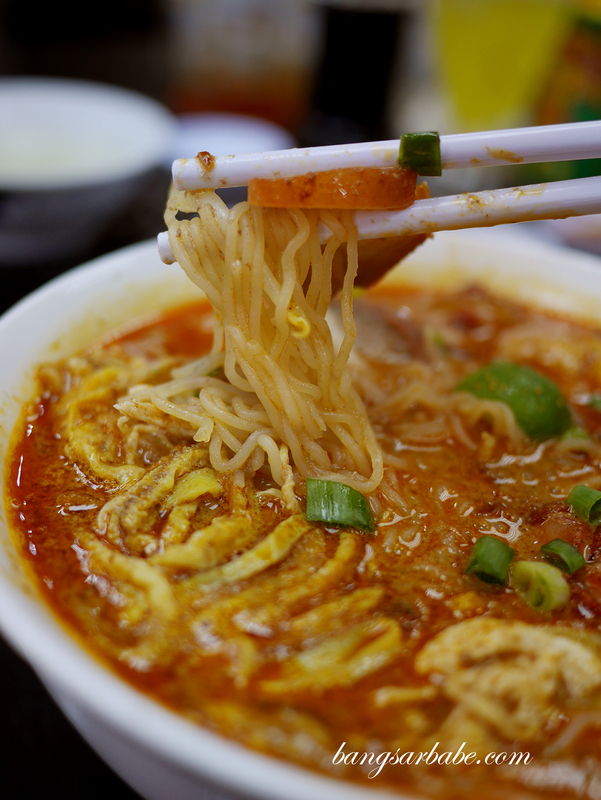 The latter is thicker and more toothsome, but the finer noodles absorb the seasoning better. 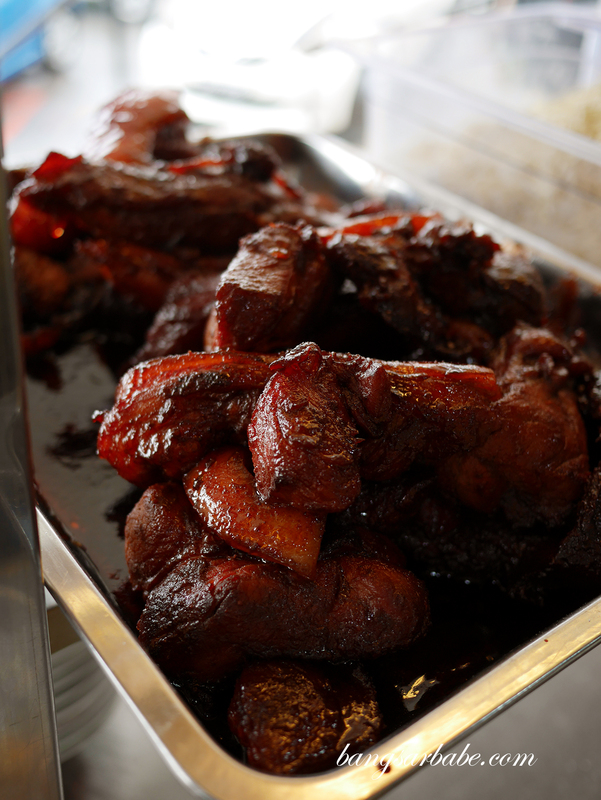 This comes with minced pork and char siew slices, and drizzles of lard oil for aroma. 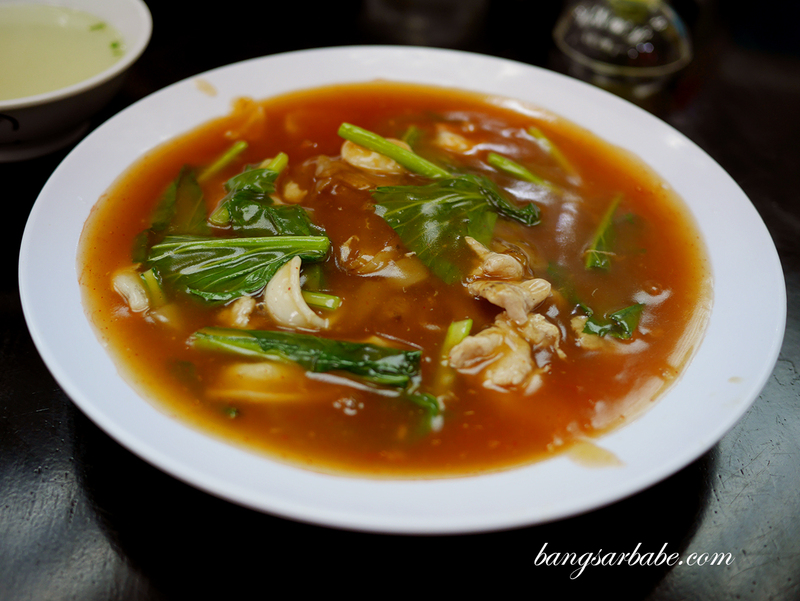 Tomato kuay teow (RM10.40) is also available; a Sarawak specialty that looks a lot like Cantonese fried kuay teow (wat tan hor) but with thick tomato gravy. The noodles had good wok hei, and they were pretty generous with the chicken and seafood. I thought the gravy had a good balance of sweetness and tang, though it’s not quite my cup of tea. Try this, if you’re a fan as this version is quite decent. 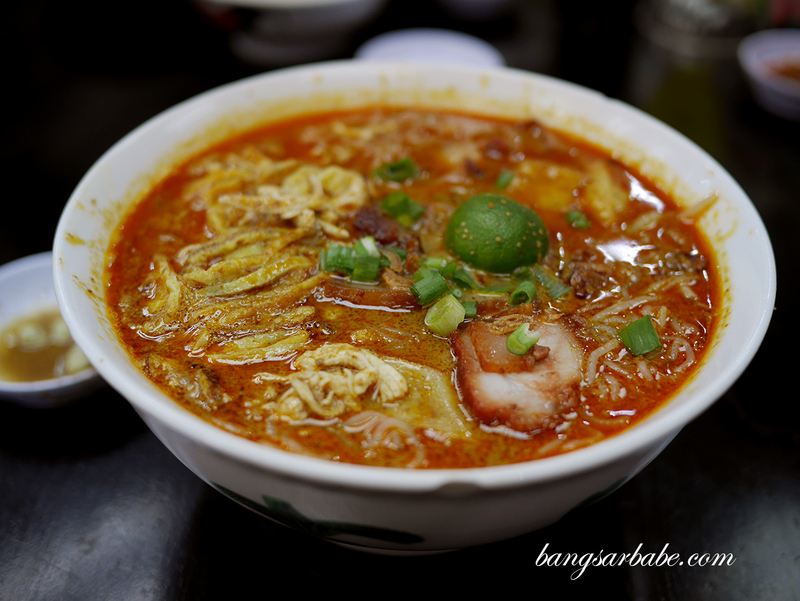 The Sarawak Laksa (RM9.35 – regular, RM10.40 – large) tasted like a cross between Sarawak Laksa and curry laksa. I reckon that’s probably why I liked it as I love eating curry laksa. I liked that the broth was thick, richly flavoured and slightly tangy, but Sarawak Laksa lovers wouldn’t fancy this as much as I did. 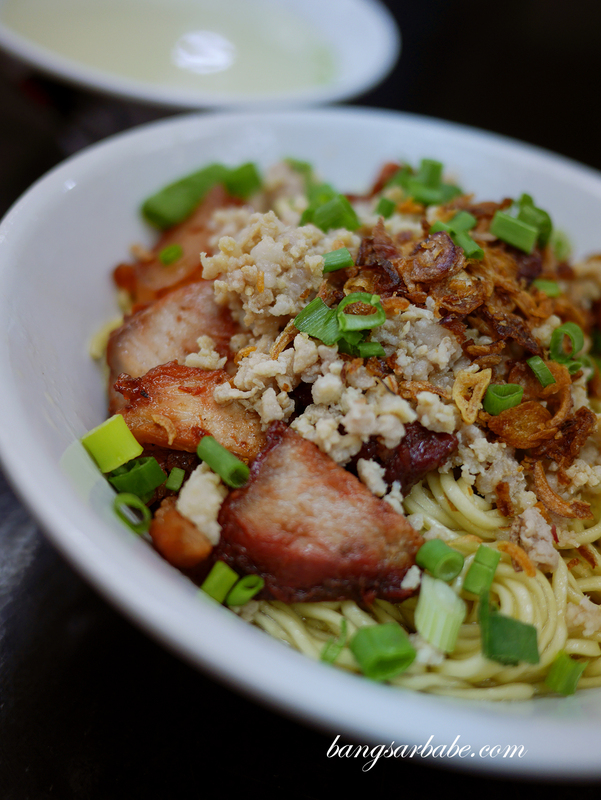 I really enjoyed the Fried Cooked Noodle (RM9.35), a dish I grew up eating and a popular noodle dish in Sitiawan. 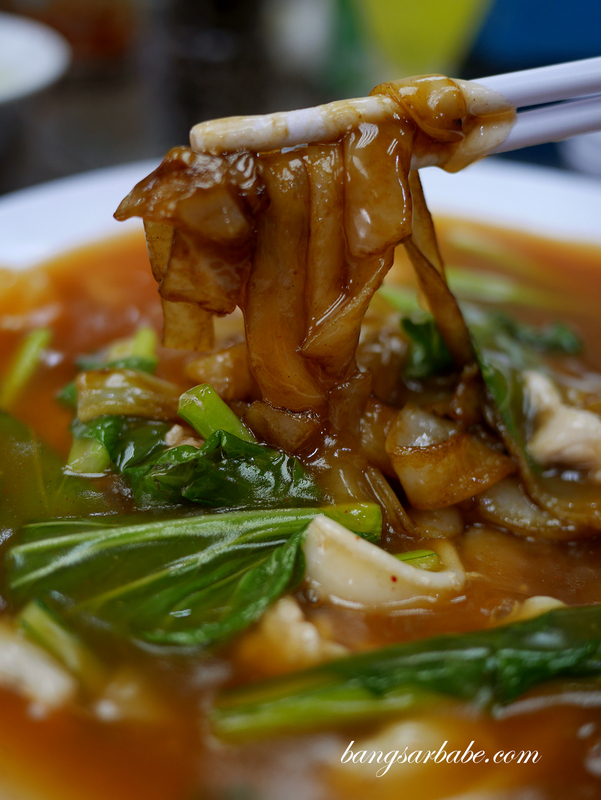 It’s the Foochow equivalent of Hokkien mee, where the noodles are lightly charred for a smoky flavour and cooked with seafood, meat and gravy which is thickened slightly with starch. We call it “chai yu mien” in Sitiawan and this version is good enough to keep me coming back for more. The alkaline taste can be a tad strong for some, so if you’re particular about that, do take note. All in, I enjoyed my visit to SRK Noodle House. While not everything tickled my fancy, I would definitely come back for more fried cooked noodles and kampua. 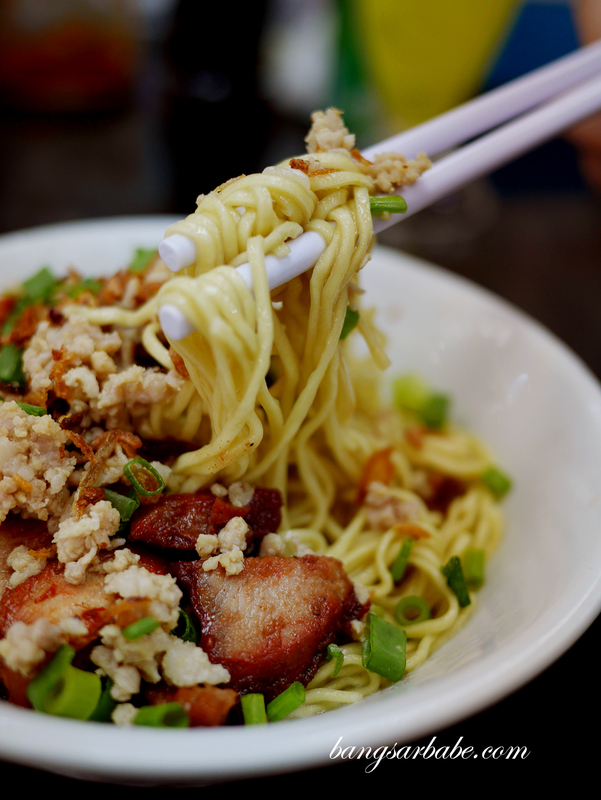 They also serve other noodle dishes that aren’t Foochow specialties so if you’re looking for a variety, this is the place. 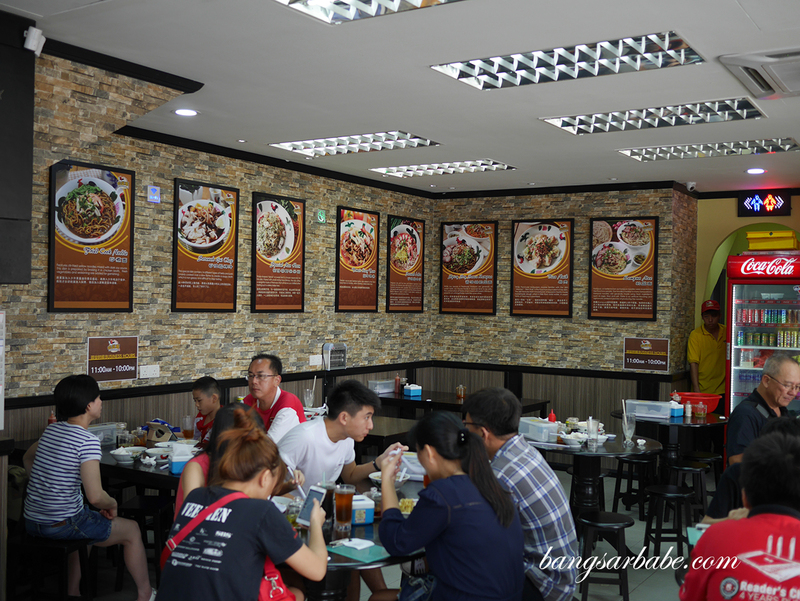 Verdict: If you’re on a lookout for Foochow dishes (Sarawak style), check out what they have to offer.